The Mystical Magic Begins! Have you ever wondered what's up with the stars painted on the walls at AW YEAH COMICS? Have you ever noticed the odd silver-star while shopping at AW YEAH COMICS comic shop? 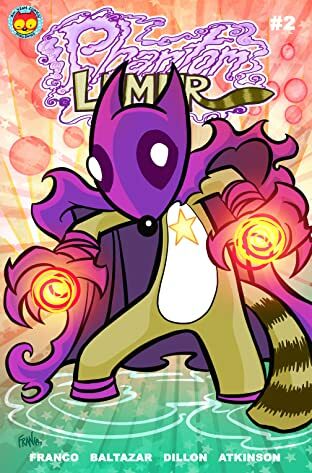 Well that silver-star may just be a magic portal to the Realm of the Phantom Lemur! THAT'S RIGHT! Our adventures just became Magical! 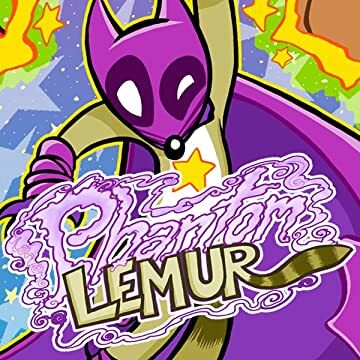 Where do the Phantom Lemur's powers come from? Are they linked to the Rhumbl Ruby Rock? And what does Awesome Bear have to do with the magic? What kind of Magic creatures lives within this Realm? Wow, lots of questions! 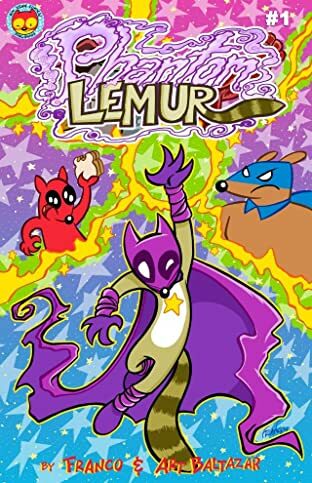 The PHANTOM LEMUR is our first "spin-off" comic from the world of ACTION CAT and ADVENTURE BUG and is coming at you as a digital first! We are excited too! From the Eisner Award winning creators who brought you TINY TITANS, Itty Bitty HELLBOY, SUPERMAN Family Adventures and AW YEAH COMICS! Art Baltazar and Franco. True story.